Enjoy the highest quality notebook printing, print professional booklets online. Booklet printing up to 64 pages. Top quality paper and cover options. We offer booklets in all size shapes and binding options. If you are looking for booklets for a special occasion ,consider our cover , binding and finishing options. Be rest assured that you will receive exactly what you ordered. We keep eye on the quality of your products during production. 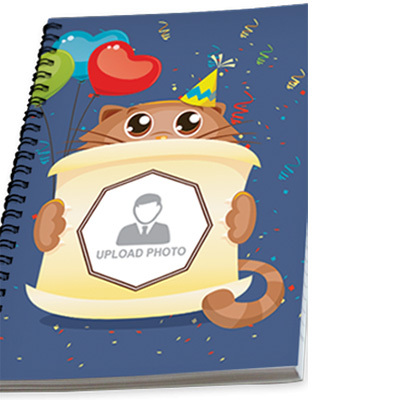 Product Information: Our notebooks are printed, finished and sealed with the greatest perfection. Be assured that your notebooks are printed in the highest quality and delivered in perfect condition. Material / paper type: 300gsm matt card stock cover with 50 leaves bond paper stock inner. Pricing: starting at N19,950 for 100 copies.